THIS PROVED TO BE AN INCREDIBLY INTERESTING ARTICLE. 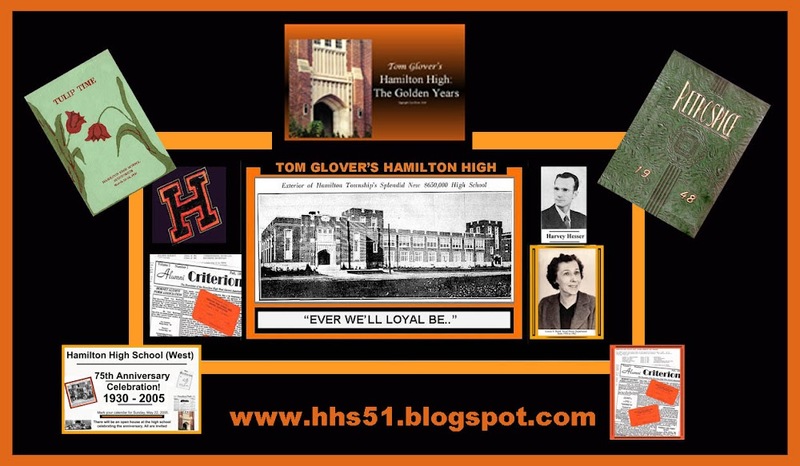 HERE ARE THE STUDENTS AND TEACHERS WHO STARTED IN THE NEW HAMILTON HIGH SCHOOL IN SEPTEMBER, 1931. I SEE MY COUSIN, RUTH WILLIAMSON, AND ONE OF THE GLOVER'S NEXT DOOR NEIGHBORS ON HARTLEY AVENUE, HILDA ARENA. THERE ARE MANY OTHER FAMILIAR NAMES. I'M SURE YOU WILL ALSO FIND MANY NAMES THAT ARE FAMILIAR TO OTHER VISITORS. A JOINT REUNION....WHAT A GREAT IDEA! 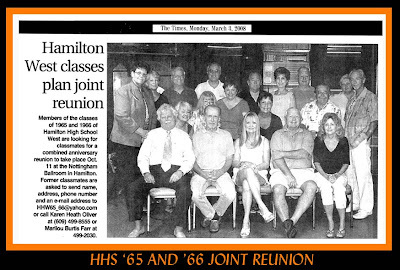 HERE'S THE ANNOUNCEMENT OF THE JOINT REUNION OF THE CLASSES OF 65 AND 66 AT HHS. I SEE RONNIE STEWART ON THE LEFT IN THE FRONT ROW. 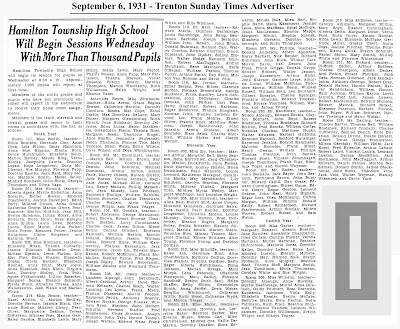 RONNIE WAS AN EXCELLENT TV ANNOUNCER BACK WHEN TKR GAVE HAMILTON TOWNSHIP RELIABLEAND FREQUENT LOCAL COVERAGE , UNLIKE TODAY WHEN CABLEVISION HAS OPTED TO GIVE PREFERENCE TO LOCAL COVERAGE IN THEIR OCEAN-MONMOUTH COUNTY AREA. IF YOU MISSED THE NEWS ARTICLE FROM THE TIMES, HERE IT IS AGAIN.